Seat-Centricity seemed to be the theme, from Crystal Cabin Awards to vendor space, enhancement and advancement of seat electronics was commonplace. For those of you searching for a definition, seat centricity simply places more of the storage and content processing at the seat. More powerful processors, increased memory, and GUI-driven interfaces are the name of the game. Beyond hardware and software, the dependency of servers and networks for content delivery is reduced. An earlier prediction from an IFE maven gave us this quote in an earlier Hot Topic: “…and Seat-centric IFE systems will get traction in 2011 with significant orders.” While we are not sure about the ‘traction’ part we are sure of the orders. Vendors who sell this type of IFE are sitting on orders. Take that to the bank! We counted at least 3 new GSM (Ku and Ka) hardware sources and while we did not talk to them all, the big surprise was from the software house, TriaGnoSys. Their 2 box solution is pretty revolutionary. We note the company has hired an additional hardware team and is working with subcontractors to deliver a simpler GSM inflight telephony solution. With over 1,300 connectivity equipped airplanes flying toady, we promise a story on this one, and the trend, soon. App developers (We talked to two) also demonstrated their wares. An iPad for crew usage from Ultramain got our attention, while platform agnostic Plane Bill showed new, slick, and very useful airline apps. MRO iPad solutions were in attendance as well. One major player (No names mentioned – yet), who has reduced their IFE footprint in the past few years, is ramping up a new system this summer… probably for a single-aisle solution. We suspect their new gadget includes connectivity, but what do we know? Stay Tuned on this one, probably in early summer! Panasonic displayed their VERY SLICK, seat-centric Android, X3 IFE system – and it was really nice. Panasonic worked up a few apps with a new outside supplier that were clean, fast and very attractive and hosted it on their seat-centric solution. Their display and app presentation was the talk of the show. 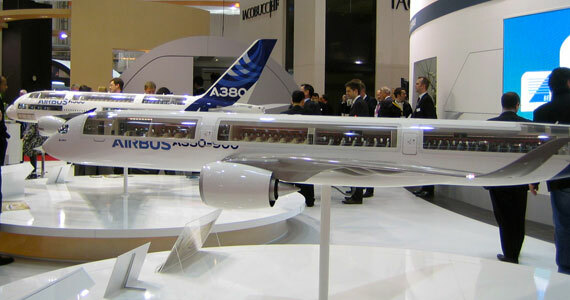 While we visited at least 4 portable IFE suppliers, there were more at AIX. While the iPad was represented, we saw at least one new tablet-driven system… and yes, it ran Microsoft Windows 7 OS. Thales IFE guru, Ken Brady, showed IFExpress their Ka-Band Global Express connectivity solution (Inmarsat), destined for 350-XWB service. 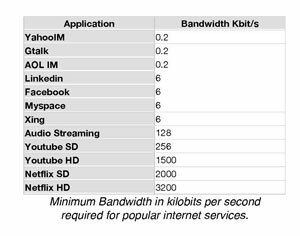 Will greater Ka-Bandwidth provide the $/kilobit advantage and rule connectivity? We finally got a look at the new, thin, HD display from Lumexis… nice! Big Display folks – ACS, showed us new, no fan, LCD display designs (It’s done with ‘chimneys’) and a thin (1.9 inch), giant 46 inch LCD unit. Thin is in! 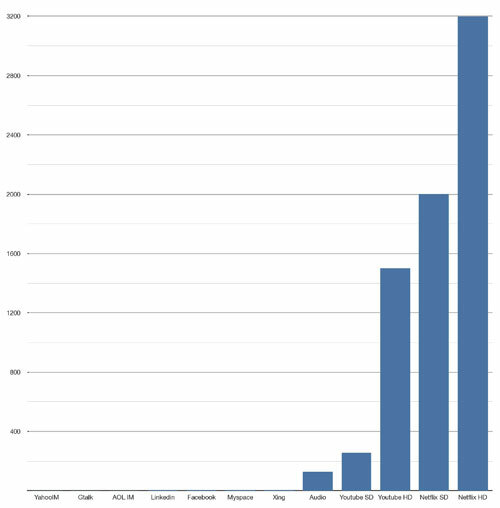 Much to our embarrassment, Ka-Band connectivity is coming on strong. In the past, we echoed expert opinion that Ka-Band, here today on marine applications and business jets, would probably debut on commercial planes in 5 or so years. Wrong! Live TV and ViaSat are looking at a 12 month time-frame. An IFExpress thank you goes out to Panasonic’s Gene Connelly who literally gave us the shirt off his back – a real nice Panasonic shirt! The folks at AirCell sent us on our way (domestically, speaking) with 8 hours of inflight Internet… gawd we were glued to the iPod screen. And yes, the domestic legs were shorter. We didn’t want to quit the “I am sending this to you from 30.000 feet” messages. We also have to mention and thank the folks at PopCap Games, Bookworm improved our spelling, but what really matters is our garden is now free from zombies (Plants vs Zombies). Lastly, a ‘thank you’ goes out to the AIX media folks who provided Wi-Fi and life-saving morning coffee.